Customers picking up a $199 Wii at Walmart locations across the U.S. will get a $50 gift card for their troubles next week, with a dozen 2009 titles across all platforms dropping $10 until Christmas. Walmart wants your gaming dollar. Hell, Walmart wants your everything dollar, but gaming is definitely a focus this month. 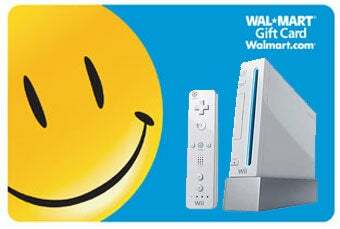 From December 5th through the 12th the company will be offering a %50 gift card good for anything Walmart carries (just about everything) with purchase of a Nintendo Wii. That means you can grab a Wii and some Transformers, or a Wii and some discount lingerie. The only limit is your imagination. And $50. And your particular store's stock, I suppose. Along with the Wii offer, Walmart is also discounting a group of popular 2009 titles by $10 until December 24th. Titles like Batman: Arkham Asylum and Left 4 Dead 2 for the Xbox 360, or Tekken 6 for the 360 and PS3. You know what? I'll just drop you all a list. Happy shopping.